In a nutshell: A great place to have a picnic from the many nearby yummy take-out joints. Minuses: Reef is right at the shoreline. 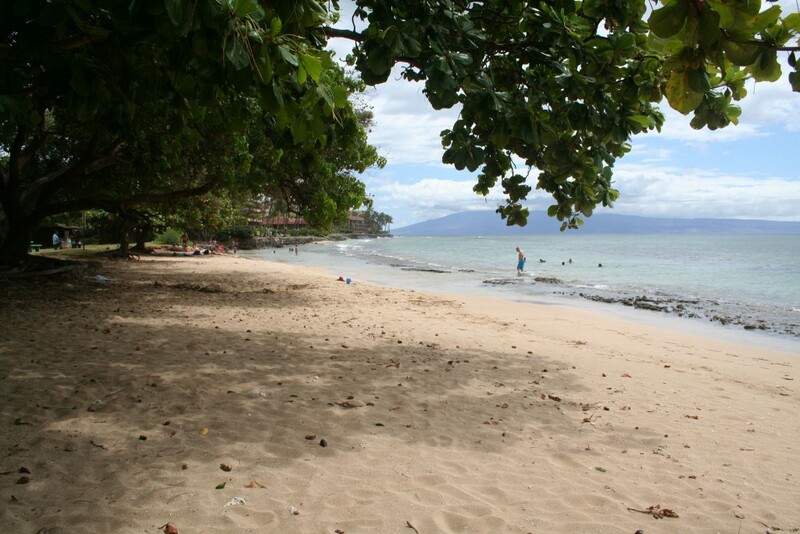 Very pretty beach park to sit out and just enjoy being there – swimming is restricted to a shallow pool situated between rocky ledges of reef. This long shallow pool is perfect for kids and there is also plenty of shade at the beaches edge. 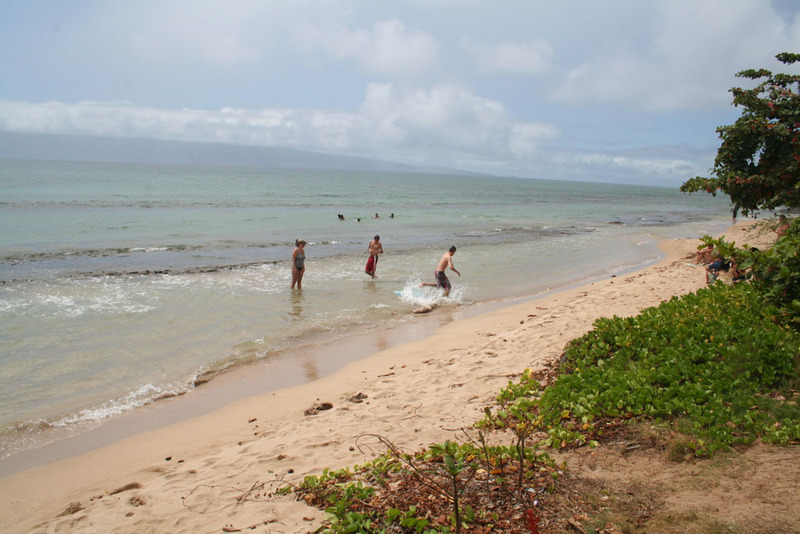 Honokowai means “bay for drawing water”; in the old days there were freshwater springs at the water’s edge. The beach was also said to have been a canoe landing. This park is a convenient place for a beach picnic, and there are several great takeout joints in Honokowai. Honokowai Okazuya and Fish Market Maui are two favorites, but there are so many more great choices – in fact there is more inexpensive takeout in the immediate area of Honokowai than anywhere else in West Maui. Mile Marker: #25.9 (Hwy 30 aka Honoapiilani Hwy) to Lower Honoapiilani Rd. – See Google map below for exact location. Okazu is Japanese for side dish, or more accurately, the items that one eats with rice. Ya is a suffix for store or monger. Thus, a Panya in Japanese is a Bakery, or a store that sells Pan (Bread). So while one can always cook their own rice, it’s sometimes convenient to run out and buy some okazu. Or at least that’s how it worked in the old days. Despite its name, I would say that Honokowai Okazuya actually sells plate lunches, i.e., complete with rice. I suspect the business must have been owned by a Japanese person at some point, but that doesn’t seem to apply today. Their food is good and plentiful, but our favorite is Ohana Tacos, a trailer that is parked in front of the Rental Storage place in the evenings, Monday thru Friday. My wife and daughter love their fish tacos.